FCC approval allows Apple to start work on experimental 5G technology in the USA. Apple is getting a jump start on testing 5G mobile networks following a new ruling in the USA. The tests will be carried out on the short-range millimetre wave spectrum in the 28GHz and 39GHz bands, which were allocated by the FCC last year for companies looking to undertake 5G tests. "Apple Inc. seeks to assess cellular link performance in direct path and multipath environments between base station transmitters and receivers using this spectrum," the application states. Due to the huge numbers of its devices on the market in the USA and around the world, Apple is a huge player when it comes to the world of carrying and transferring mobile data, making it an ideal candidate to start testing the new networks. 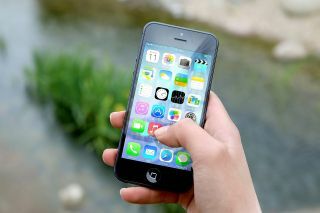 The work should also mean that once 5G technology becomes widespread, new Apple mobile devices may be able to carry the networks from the point of being sold. To read more about 5G news, click here.